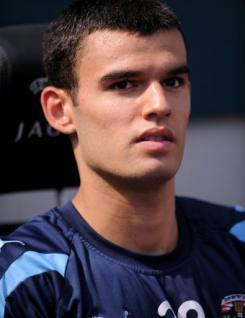 The young Coventry City midfield player Conor Thomas enjoyed a meteoric rise in 2010-11. Unknown when the season started he was soon in contention for a Carling Cup place at the age of 16 and signed his first professional contract in October. He had to wait until January for his first appearance when he played 20 minutes as a substitute against Crystal Palace in the FA Cup. A tall, strong youngster he was not overawed in his debut. Two weeks later at Birmingham in the same competition he was given his first start in central midfield and put in a solid performance against strong Premier League opposition. Days later he was loaned to Liverpool with a view to a possible permanent move, but returned to the Ricoh with an injury near the end of the season.